If basil is called the king of herbs, the adorable Minette must be the princess. It’s a miniature version of the ‘papa Basil’, forming an attractive half-sphere bush if grown in a flower bed. 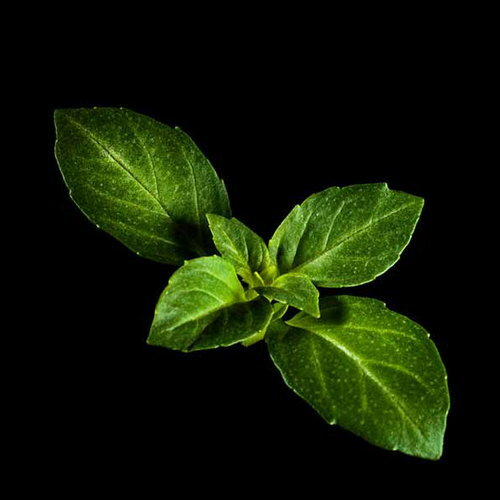 The royal titles of basil are not only tied to cooking: basil has been found in the royal burial chambers of the pyramids. Basil is originally from India, and the first plants were brought to Europe back in 15th century. All types of basil contain essential oils that are mild antiseptics sometimes used to settle an upset stomach. 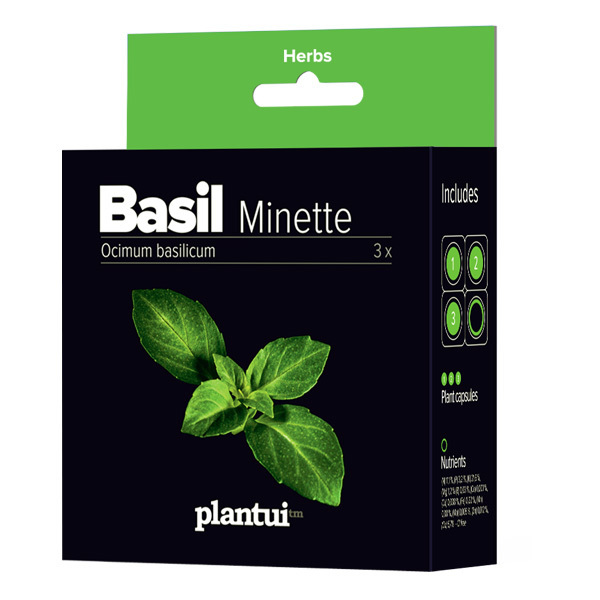 Basil Minette, with its aromatic, aniseed-like sweetish flavor and the pleasing clove scent, is the staple herb for all of us who love pesto and caprese salad. You can also use it in pasta and risotto and throw a handful of leaves on pizza or bruschetta. And do not dedicate this versatile herb to main dishes only! 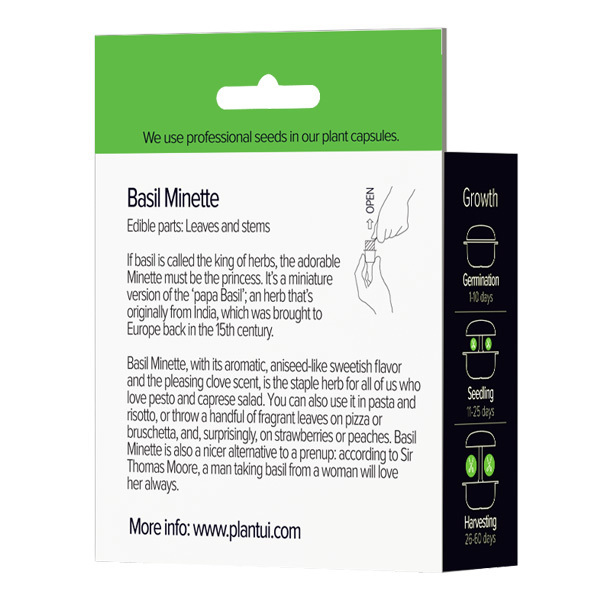 Basil Minette and strawberries or peaches are an incredible match. Try cooking Minette, water and sugar into a lovely syrup and sprinkle it on fruit and berries or mix it to your favourite summer drink.